Does this sound familiar? In the dark corner of my daughter’s bedroom is a plastic box full of little tiny rubber bands that she must have to make another Band-a-loom bracelet because the last 50 we made are not enough. Somehow between then and now they have been forgotten. Do you wish you could find something to do with them? My daughter decided to use her stash to make SWAPS for camp. 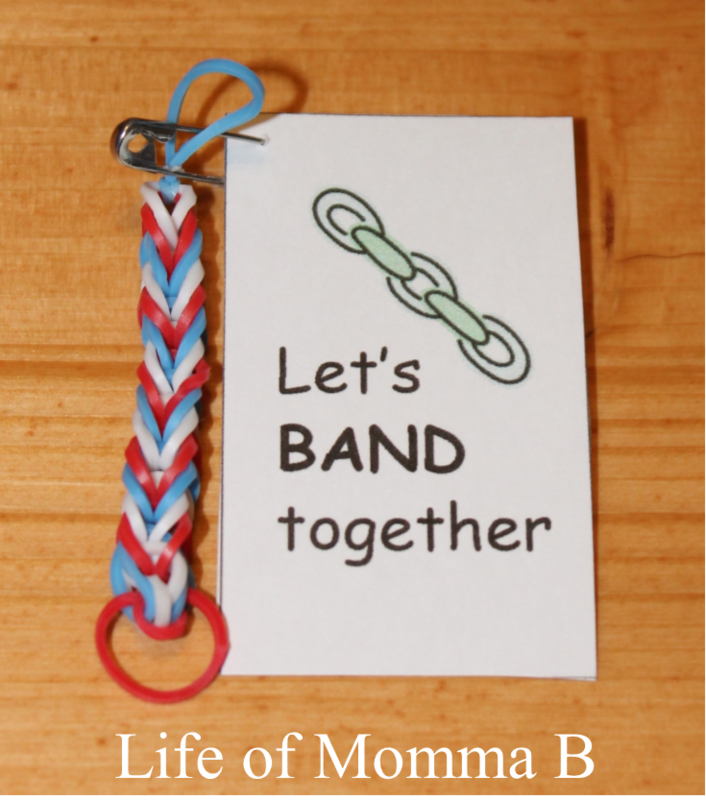 For each SWAP she made a small section of bands in a fishtail design. Each one had a different color combination. We then printed a little card to use. She pinned them together and added her name to the back of it and she was ready for camp. I have to admit that I was surprised by how much other girls liked them. I lead a group of Pioneers and Patriots and they actually sought her out to get one of her SWAPS. Some of the older girls even wore them as rings. If you would like to make these you can use the printable below for the card. You will have to ask my daughter how to make the fishtail part (or ask any girl between the age of 6 and 10). This entry was posted in American Heritage Girls, Crafts and tagged AHG, printable, SWAPS. Bookmark the permalink.